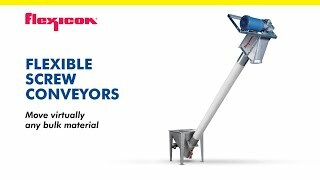 Operator safety and product quality are the prime considerations in the design of this machine. The straightforward design and mobile handling of the KTS-V2 800 allow it to be perfectly integrated into your production line and used flexibly, needing only a pallet truck or a forklift to relocate it. The mixed spices are screened at a mesh size of 4 mm and a capacity of 3,000 t/h. The screening process removes contaminants and oversize particles maintaining the high quality of your products. 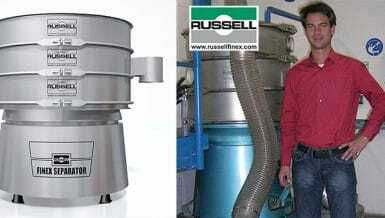 The machine is completely made of stainless steel has a food grade surface finish of Ra ≤ 0.8 μm. The Control Screening Machine is fed via a big bag, the product then being filled into a silo located below. Both are connected dust-tight to the screening machine by Alucon docking sleeves and BFM hose connections. Due to the plug and play system, the machine can be put into operation immediately after delivery. 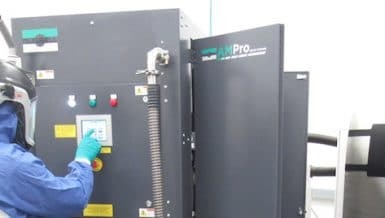 Using our quick-clamp system, the machine can be simply opened and closed for cleaning or changing the screen insert without using any tools. The GKM Control Screening Machine has been designed with a minimum of components, eliminating dead spaces from the product area. 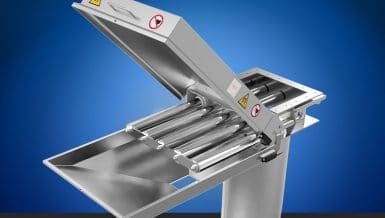 This allows simple and thorough cleaning and meets the highest hygiene standards in the food and pharmaceutical industries. 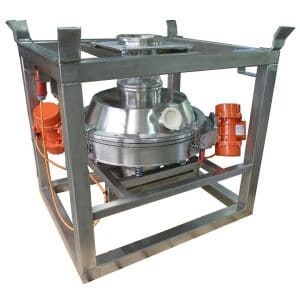 In order to catch metal parts even after sieving, the fines outlet can optionally be equipped with a magnet. The KTS-V2 800-1 is already well established at well-known manufacturers in the spice industry. Visit us at the Powtech 2019 in Nuremberg Hall 4A Stand 331 and see our range of tumbler screening machines, Vibrating Screening machines, and laboratory screening machines.